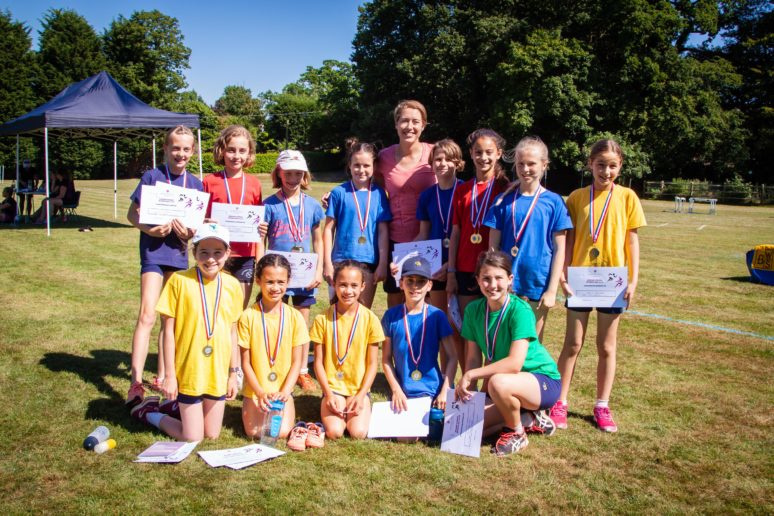 Olympic golden girl, Lizzy Yarnold visited us for our Junior School Sports Day. She tells us ‘failing is good’ and gave us an empowering and motivational speech about the challenges she faced in her bid to be an Olympian, which reduced several girls and staff to tears. Her own motto? ‘Succeed and celebrate; fail and you learn.’ As she pointed out, you don’t win much in life, ‘so it is very important to deal with losing and to see it as a positive’. She stayed with us for the whole day. Chatting, encouraging and inspiring our girls. 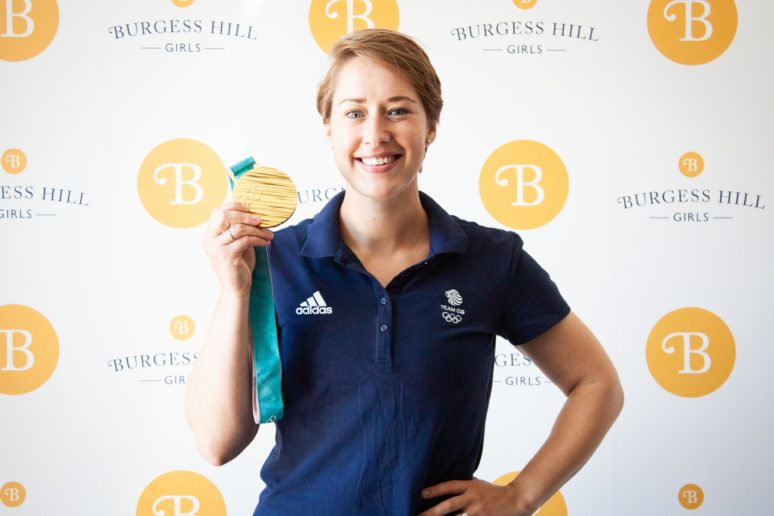 Winning consecutive Olympic gold medals in 2014 and 2018, Lizzy is the most successful British Winter Olympian and the most successful Olympic Skeleton athlete of all time from any nation. Lizzy revealed that at the age of 18, she realised she wasn’t going to make it as a javelin thrower and began to explore other events to realise her dream of becoming an Olympian. Through UK Sport’s Girls4Gold talent identification programme, she was identified as having potential in skeleton, in which a single rider on a small sled, known as a skeleton bobsled, hurtles down a frozen track while lying face down and head-first. For one girl in particular, Lizzy’s visit was particularly inspirational. As a teenage heptathlete and javelin thrower, Lizzy’s sporting hero was Britain’s Goldie Sayers. 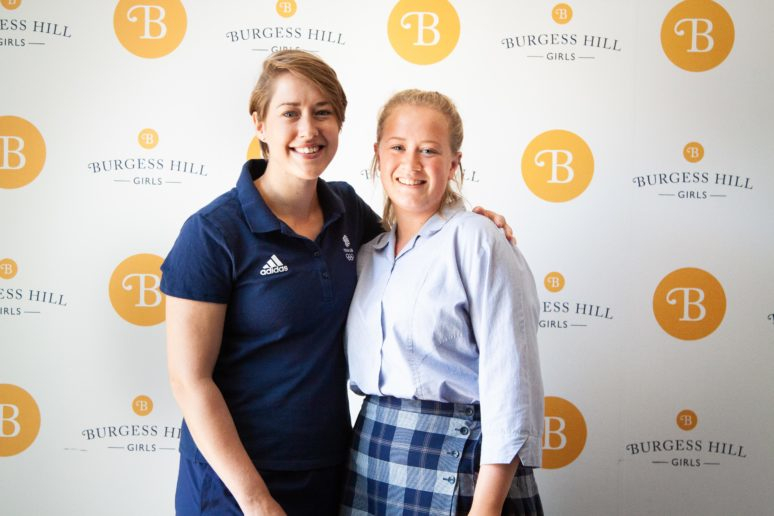 Sayers is also the idol of Burgess Hill Girls Year 10 pupil Peanut Meekings, aged 15, who throws javelin for Sussex.